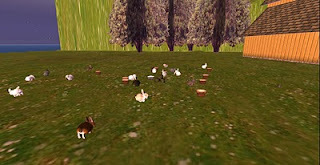 The Ozimals bunnies hit SL in January 2010. Quickly becoming the latest craze in the market scene, buyers flocked to shops which sprouted up literally everywhere and shopkeepers enjoyed great profit. The business boomed for several months and more and more people jumped on the bandwagon--everyone wanted a piece of the bunny pie! Still clinging to the turtle market, I soon rented and set up stalls for my turtle eggs and my newly acquired bunny nests. Sales were good on the nests but the turtle egg/turtle sales dwindled. Later I upgraded to a small shop exclusively for bunny nests. I gave up one stall (turtle eggs) but continued with the stall for the bunnies. I now had two locations in which to sell my goods. 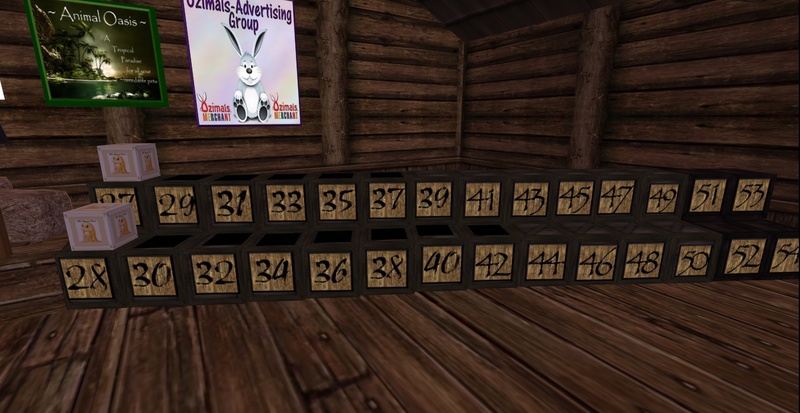 I continued to thrive with bunny nest sales and life was good. 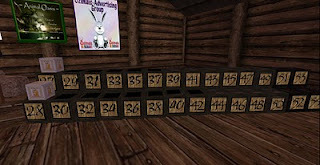 Paying rent was no longer a problem and eventually I decided I didn't need a paying job in SL any longer. Nests were selling for anywhere between L$250 and L$1500. I continued to have shop sales and started going to auctions for several months. Selling live bunnies was the way to go and people at auction were willing to pay good money. Now my work centered around getting the better furs, more gem eyes, the better traits that people wanted. I spent many lindens on this endeavor. I gradually established some really good warrens; it was a slow process indeed. I began selling again, some hits and some misses. I went to auctions where "special" bunnies were selling for thousands! Blanc de Hotot, Creme d'Argent, Mini Rex Castors...some going for as much as L$30,000! It was outrageous! I was a regular at one particular auction and went to several others once or twice. What I saw starting to happen was that people were either not buying at all or not spending nearly the amounts on the same types of bunnies as I had seen in the past. I went to another very odd auction, where quite ordinary bunnies and nests were for sale and very low prices and people were buying them up! It was unbelievable. 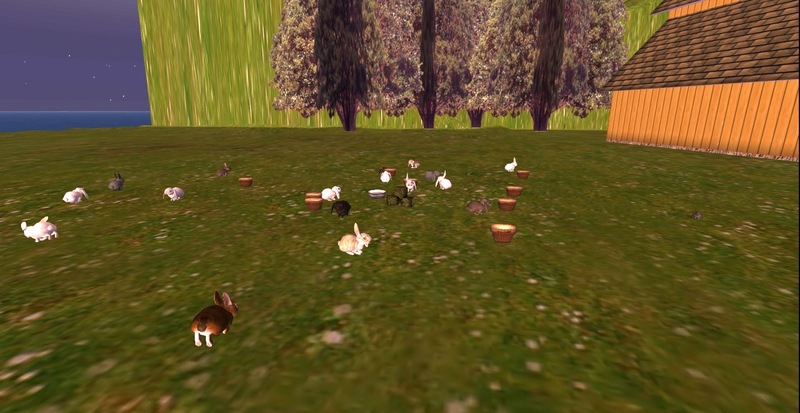 I told my SL sis we could go back there and auction some of our lesser bunnies to reduce our stock and she agreed. The market had become so saturated that no one could sell, but everyone needed to because so many people had so many bunnies and had to keep feeding them. This becomes quite a financial burden for most everyone. Prices came down in a frustrated attempt to unburden themselves of the abundance of bunnies they could no longer afford to feed. This was a boon for me in one sense as I was able to get some of the better bunnies that used to sell for a lot....perhaps a foolish move considering the condition of the market. Everyone is upset over it's decline. It was great fun and very profitable at its height. It is becoming quite evident that this market, like so many in SL, is going the route of the turtles and scion chickens before them. But never fear...there is something new for all you avid breeders of all things animal! THE HORSES ARE COMING! That's right, breedable horses have been developed and beta testing has just begun. I saw two foals and they are irresistible. A new market will take over it seems...and so it goes.